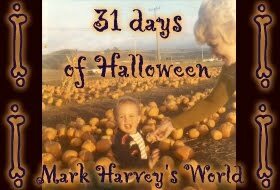 Day #3 of October brings what I intended to bring you....a NEW Rain Station Halloween tune. 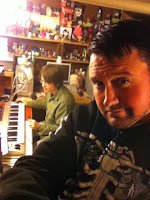 Jay and I got together yesterday so I could record vocals on a new song, "Complicated Man? ", but I knew we needed to try and get a new Halloween track done. After trying to program drums for the new track Jay took a look at some of the drum beats he had recorded. The process for "Criminal Goat" and our upcoming CD starts with Jay recording drum beats and then I'll add bass, guitar, keyboards and whatever else the tune needs. Jay will write lyrics and record other instruments and then we'll see what else we need to do. After hearing Jay's drum beat yesterday I recorded keyboards, guitar and then started thinking about what to write lyrically. Jay suggested that the song reminded him of a mad scientist and my mind took off - the pencil hardly keeping up with my mind. 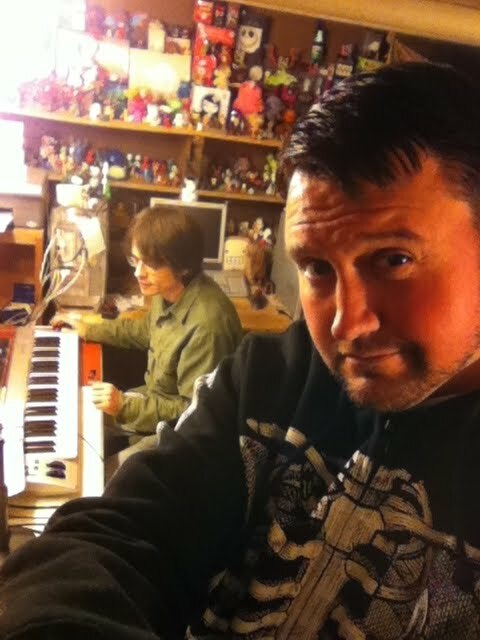 I recorded vocals and then Jay and I recorded some "weird" vocals to back up the track. We always have fun recording, but we get a kick out of the strangeness that comes out when we're recording a Halloween track. So, the tradition continues with "Science!!!" a NEW Rain Station Halloween track for 2010. Enjoy the track and your Sunday!